Home / Games / Minecraft: Create. Share. Play. Minecraft is a survival tactic game created by the publisher Mojang. At first, the game has a name is Cave Game, then it renamed Minecraft Order The Stone and finally, it is Minecraft. The game was inspired by a number of titles such as Dwarf Fortress, Infiniminer, and Roller Coaster Tycoon. In Minecraft the player takes on a character in an open world without a specific goal, allowing the player to freely do what you like. Initially, players are in the face of a wilderness world with varied terrains such as plains, hills, caves, swamps, deserts, forests and various water bodies. During the game players will encounter many creatures such as villagers, animals which you can eat or make products such as beef, sheep, chicken, fish,… usually appear in the daytime. The game divides time into day and night according to a given cycle, with a typical cycle of 20 minutes in real time. At night, very dangerous monsters can attack players such as spiders, zombies or skeletons, etc. Also, the creeper is a particularly dangerous creature that can explode and it Can appear both day and night. In Minecraft allows players to use the right tools that can dig blocks to have different materials, collect and create everything you want. You can build your own creative a house or everything, this is one of the highlights of the game to attract millions of players. In Minecraft, there are game modes such as survival mode, creative mode, and super hard mode. 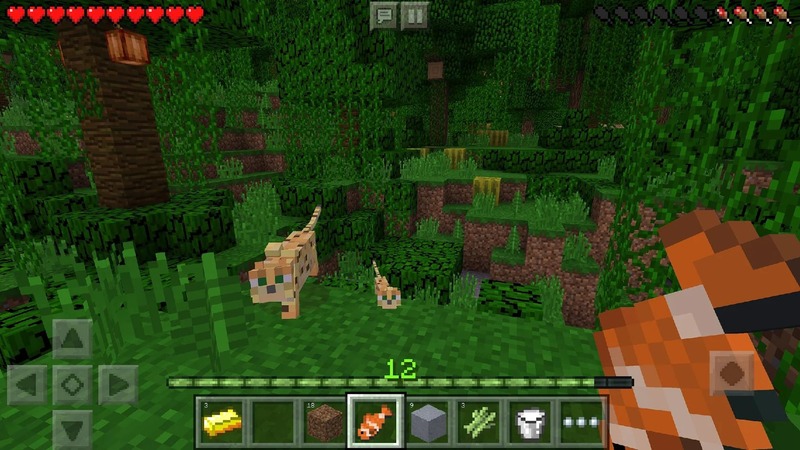 In the survival mode, players will have to search for resources, build and find food. The player has a health bar so you know when he hungry and when you need to find food. Also, if we are attacked by monsters, we will lose our blood, so I think we could stay away from the monsters in the cave or the house at night. We can also craft weapons to attack and destroy monsters. When killing animals or monsters the player will gain experience, the higher the experience points, the better the player will be able to build stronger armor. Creative Mode: In this mode players have all the resources and tools, players can create their own way to create a world of great works, go around the world without being attack and die. 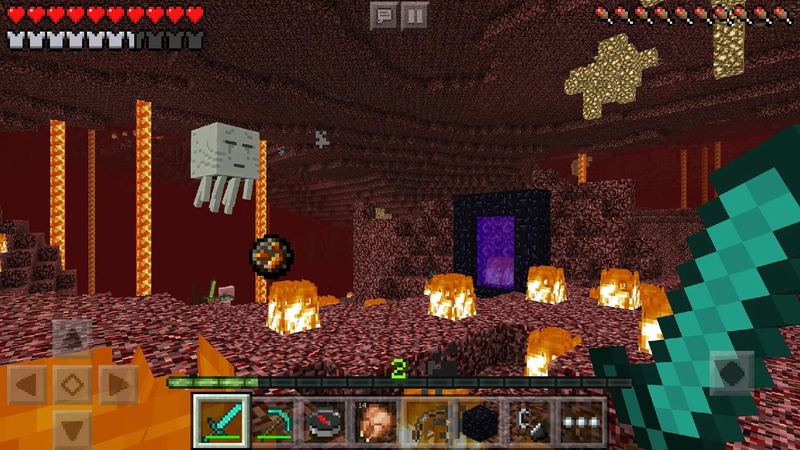 The super-hard mode: this mode is quite similar to the survival mode, players live as real life, only one network to die, then the game will end, can not return to the previous world. This allows us to play with the subtle, suspense, have the experience as in real life. The world of Minecraft all things are made up of 3D cubes with various materials such as earth, water, stone, wood, gold, … estimated in the game has about 36 million square cubicles. If you just glanced through the images in Minecraft then maybe the player would think that this game is low quality, made mainly for fun because the graphics look quite classic in modern-day advanced graphics. But unlike its appearance, the game with its exciting, creative appeal attracts more gamers love it. If you love creative and adventure, I think Minecraft was born for you. Yoy can download this game via the links below. 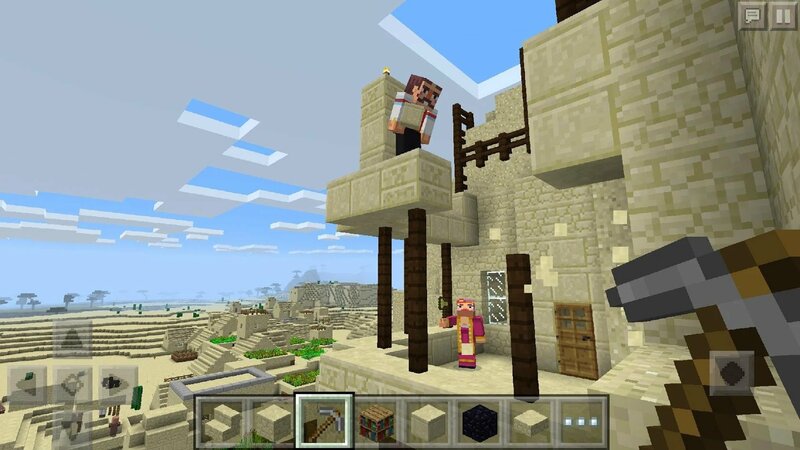 Currently, Minecraft is available on two Google Play and Appstore stores for $ 6.99. Minecraft is ready to download! 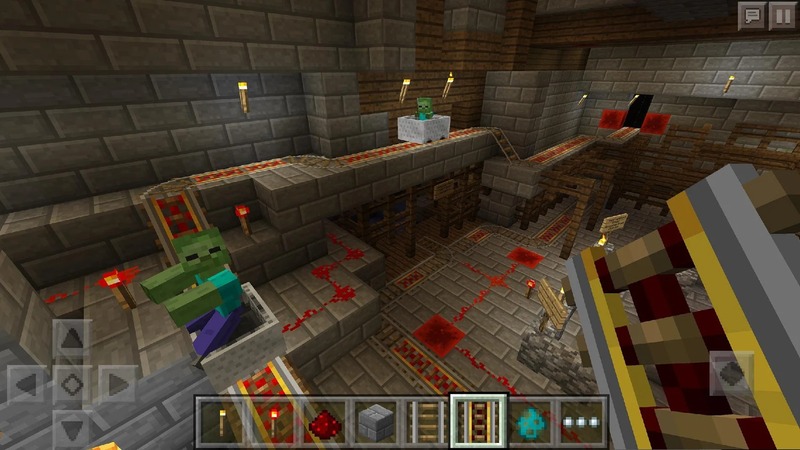 Depending on your needs, you can download Minecraft MOD APK or Minecraft Original APK. Or install from Google Play / App Store if you want.